While I’m a pretty big fan of strategy games in general, historical strategy games are particularly interesting, especially from a pedagogical standpoint. As I and many of the other Play the Past authors have previously discussed, these games allow us to look at the past through a different lens than we typically get through other media. Games are a particularly effective way of engaging in playful historical thinking, putting us in the same situations as our predecessors and letting us see what we can do given the same tools. Of course, some games are more effective at this than others. Risk, for example, despite being perhaps the most well-known games of this type, has never been my favorite. It’s not that it’s impossible to create interesting counterfactual histories in Risk. I once played a game where the Ottomans and Scandinavia formed a grand alliance in an attempt to hold their eastern borders against rampaging armies from Asia. Although it sounds like an interesting premise, it wasn’t as exciting as it sounds. Although my friends and I took on the names of the countries in the rough areas of where our armies started, technically, Risk players don’t really control countries. They simply control a number of generic pieces scattered randomly about the board. Though the alliance between the yellow wooden cubes and the green wooden cubes was the high point of that game, there was nothing except their position on the board that made us think at all critically about history. While geography plays a significant role in how a game of Risk plays out, there’s not really much historical context to the supposedly Napoleonic-era game. As Trevor has previously argued, good counterfactual arguments mobilize real historical facts. I would propose a corollary to that statement, and suggest that good counterfactual gameplay requires deep, non-trivial game mechanics for modeling the past. Just as the counterfactual part of a counterfactual historical argument is really only interesting if it gets you to bring in credible historical evidence, a counterfactual game is only interesting if it gives you the tools to explore the historical space it places you in. The more tools you have, the more interesting things you can do with them. In this sense, Risk has very few tools to play with. The player has armies and territory, and that’s about it. You can play with historical events in the sense that your armies, like historical ones, are subject to world geography (or at least a loose abstraction thereof), but beyond that, it doesn’t give you very compelling historical situations. Making a good historical game is also not merely about quantity. Different games give the player different tools that in turn make different arguments about history. Civilization, for example, eschews the reenactment of actual historical events in favor of exploring the underlying geographic, economic, and technological factors that shaped history. Axis & Allies takes a much more limited time frame than Civilization and doesn’t allow players nearly as much freedom to shape their nations, but it provides a specific historical context and well-defined goals, as well as the tools to explore the advantages and disadvantages that different countries had in industrial production, manpower, and geographic location. In sharp contrast to Axis & Allies is the game Diplomacy. Although both games have the theme of a World War, Diplomacy abstracts combat to a simple comparison of numbers while giving players numerous tools to form alliances, make deals, and backstab one another. One title that I’ve recently been playing quite a bit is Europa Universalis IV by Paradox Interactive, specifically their most recent expansion, The Conquest of Paradise. There are a number of aspects of the game that stand out immediately (not the least of which is the huge interactive map that I spent two hours playing with the first time I played the game). Unlike Civilization, which in many ways gives you an open sandbox in which to play around with history, the world of Europa Universalis is anything but a blank slate. The game typically starts in the year 1444, just after the Battle of Varna, though you have the option to start as late as 1820. Right at the outset, certain countries are doing well and others are in serious trouble. Some are already at war when the game starts, while others may have an uneasy truce. In addition to starting territories, army strengths, and other standard strategy game elements, each country in Europa Universalis has several other attributes that set it apart from the others. Aspects such as religion, culture, technology group, and national ideas further differentiate the various playable factions that are available at the start of the game. I seriously spend way too much time playing with the map. As with any example of a game implementing specific mechanics and algorithms to represent cultural and historical processes, each of these game systems makes implicit arguments about history. War, for instance, is framed in a very different way in Europa Universalis than in many other games. While wars tend to be some of the more influential events in history in general, in videogames, they tend to eclipse almost every other kind of historical event. While the military aspects of the game are still fairly prominent in Europa Universalis, even more so than in other Paradox games like Crusader Kings, the standard videogame imperative to conquer the world is challenged and subverted through mechanics that limit the player’s ability to mount unlimited warfare. Players cannot attack another country without a casus belli to justify the war and depending on what reasons the player chooses, the ultimate outcome of the war will change. Crushing your enemy might win the war, but may not necessarily mean the total annexation of their lands, as it does in Civ. Additionally, dealing with mechanics such as the player’s Aggression Rating and War Exhaustion means that expansion is a tricky goal that has to do almost as much with diplomacy and internal stability as it has to do with troops and battles. These mechanics in turn make implicit arguments about actual historical events, suggesting the complexity of situations that are often thought of in terms of simple martial strength. With the addition of The Conquest of Paradise, the developers at Paradox have given players a whole new set of tools with which to experiment with history from the perspective of Native American cultures. Significantly, and somewhat in contrast to what one might expect in more Civ-style games, this usually doesn’t result in an Aztec player sailing across the Atlantic with her massive war fleet. Although The Conquest of Paradise gives players the ability to play as American nations, these nations start out, like their European counterparts, with the advantages and disadvantages they had in the mid-fifteenth century. This means that although the Americas may not be discovered in 1492, it certainly won’t be long before Europeans are landing along the coasts of Brazil and Florida and setting up colonies. While even a powerful American player probably won’t be able to hold off all of Europe with military might alone, the game offers some interesting tools to explore counterfactual histories. North American nations can form federations to fight off invading Europeans and have access to different kinds of infrastructure that suits small and often migratory peoples. Playing as the Huron or the Maya certainly won’t yield the same world-conquering experience as playing as England or Spain, but that’s kind of the point. Despite the inherent difficulties of starting in the New World, I decided that I would have a go at rewriting history. I started up a game playing as the Inca, who start off with a decent empire that is largely isolated from other civilizations. After consolidating my empire and dealing with a few peasant rebellions that tended to pop up every now and then when the emperor died, I started slowly colonizing the western coasts of South America. I eventually made my way to Panama and encountered the Maya and Aztecs, who were engaged in a long and bloody war. I ended up arranging a political marriage with a Mayan princess, but eventually found myself unable to influence Mesoamerican affairs in any meaningful way. Sharing a border with France was stressful, but ultimately quite advantageous for the Inca. As I continued to explore around the coast of South America, I discovered that the Portuguese had begun establishing colonies in Argentina (or as it was known in my alternate timeline, Rio da Prata). 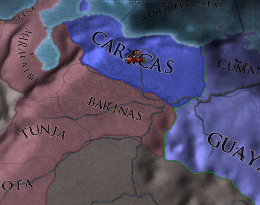 I grabbed as much land as I could, but soon found myself surrounded by both the French, who colonized Guiana, and Spain, which settled in the West Indies. Surprisingly, the next hundred years or so after colonization were actually a pretty good time for the Incan Empire. My diplomats kept good relations with the French and Portuguese, while my shared border with Guiana gave me a considerable amount of cultural exchange with the French, which helped my people advance more quickly. Ultimately, however, it became apparent that there was no way I could keep up with the Europeans without westernizing my country. It was a fairly difficult process, marked by revolts and repeated attempts to convert the country to Catholicism, but eventually, I was able to become a fully westernized empire. Spain’s expansion in Europe would also end a century of peace in the Americas. Just when things were looking up, however, tragedy struck. In the early 1600s, Spain conquered Portugal, taking control of its colonies in South America. The newly Spanish colonies began expanding aggressively toward me while Spain herself attacked the Aztecs to the north. Eventually, I was surrounded by Spain on all sides and became the target of an all-out attack. I had chosen poorly in my alliance with the Maya, as they had long since fallen to their Aztec neighbors. France was still fairly friendly, but wasn’t about to go to war with Spain to help their casual acquaintances on the other side of the world. The modernization of my armies had come too late, and the Incan Empire eventually fell to the Spanish. Although history ended up largely repeating itself, it made for some interesting speculations about the past. What if the Inca had expanded their empire all the way to Panama? Would they have really lasted until the 17th century? Or what if instead of moving into Panama, they had taken the east coast of Argentina before the Portuguese? Would converting to Catholicism have made it more difficult for the Spanish to wage war, or would it have merely enraged the populace, hastening the empire’s collapse? Although many of these scenarios seem quite far-fetched, when compared to the actual events of the Battle of Cajamarca, some actually sound quite a bit more plausible. In the end, what we’re left with pedagogically after a game of Europa Universalis is an argument for a different way history could have been. It’s not always the most plausible history, but it’s always a well-thought-out argument based on a combination of hundreds of smaller procedural arguments built into the game’s code. It’s also a much more sophisticated argument than the kind made by Risk. Although an Ottoman-Scandinavian alliance is certainly possible in Europa Universalis, such an event would never form out of simple military convenience, but would be complicated by religious differences, prior diplomatic ties, and dozens of other factors. While possible, it’s not the most likely scenario. Still, in a game where I once saw North America dominated by Norwegian Mexico, I’ve come to expect the unexpected. 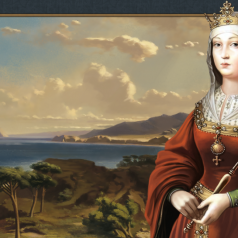 It’s also worth noting that the next expansion for Europa Universalis IV, Wealth of Nations, comes out in two days. I’m looking forward to seeing what happens when some new tools are thrown into the mix. Though the alliance between the yellow wooden cubes and the green wooden cubes was the high point of that game, there was nothing except their position on the board that made us think at all critically about history. While geography plays a significant role in how a game of Risk plays out, there’s not really much historical context to the supposedly Napoleonic-era game. This is sounding a lot more like Diplomacy than Risk. Although Risk has no formal rules governing alliances and other diplomatic agreements, they are also not prohibited by the rules. As you probably already assumed, most of my friends and I preferred games like Diplomacy and Kingmaker where politics and scheming were as important, if not more so, than battlefield tactics. Not surprisingly, these Diplomacy-style situations tended to appear in many more of our games than just Risk. Even videogames like Age of Empires tended to be won just as often by backstabbing as by strategy. I’ve just started playing Europa Universalis, because of this post. In the spirit of counterfactuals, I confess that I enjoy trying to glitch a game in its ‘reality’ (therefore, not glitching as in abusing the program, just in seeing how a-historical I can get, what it takes to derail the history being played). My son-in-law and I have decided to work together to make Spain Muslim, the unconquista, so to speak. I hope the game permits this. Although you write about counterfactuals, I’ve learned more about history, the ‘real’ history (whatever), by finding a well designed game which has constraints that make it almost impossible to alter the largest scale of events, even as the smaller scales are altered. At what level of abstraction does history break down? How much luck does the game require to replicate history? So, looking forward to relaxing with a new game. Thank you for writing about it. 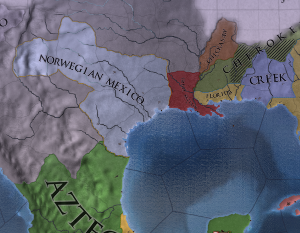 Norwegian Mexico? Ha ha ha ha, that’s awesome …. I think your comment about constraints gets at what I think makes Europa Universalis really interesting as a tool for experimenting with history. It’s significant that the constraints the game places on you aren’t constraints in the sense that the developers are limiting your choices, but rather that the underlying mechanics have an inherent asymmetry from the start of the game, as opposed to the more homogenous, balanced style of games like Civilization. I think that your goal of enacting an unconquista (or perhaps, a “deconquista”) would be much less interesting, though perhaps easier, in another game. Europa Universalis has numerous mechanics that it uses to simulate the spread of religion, many more than some other games that have a religion mechanic. These mechanics make it harder to change religions, but also present us with questions about the actual historical processes that wouldn’t get raised in a game where changing religion is a more trivial decision. 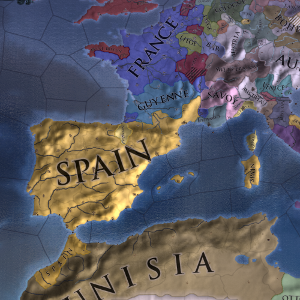 Re-reconquista is one of achievements you can get if you start as Granada in 1444 and conquer all of Iberian provinces. It’s doable, but really hard. Of course you don’t have to abide by rules of the achievement and return Islam to Iberia with any other muslim nation, but the fact is that the more fun you want to have with history, the harder it gets. There’s actually an achievement for reconquering Iberia as Muslim Granada, “The Re-Reconquista”. It’s considered one of the hardest in the game. Far more practical and less ahistorical is playing as the Ottomans and declaring yourself Defender of the Faith, allowing you to pick fights with Spain when they inevitably go after their Muslim neighbors. A well written article and very accurate. Minor quibble that it is Aggressive Expansion, not aggression rating. That’s a good point, I should have been more precise. Technically, I suppose it’s just a specific kind of modifier on your normal diplomacy rating with specific countries, rather than a separate scale that looks at your actions in a general sense. You should now try another part of the World. I’ve actually been meaning to start a game in Asia and try to discover the New World by sailing east, though I think few countries but China would have much chance of getting there before the Europeans have claimed everything. I also just got Wealth of Nations, which, among other new features, fleshes out India quite a bit, so I might try playing a Hindu country. Uniting Japan and rushing exploration ideas is another option which avoids the rebellion prone Ming. Either way one will have to island hop and keep pushing forward with the Diplomatic tech levels to get enough colonial range. India is definitely fun too: lots of religions, cultures, and backstabbing webs of alliances! 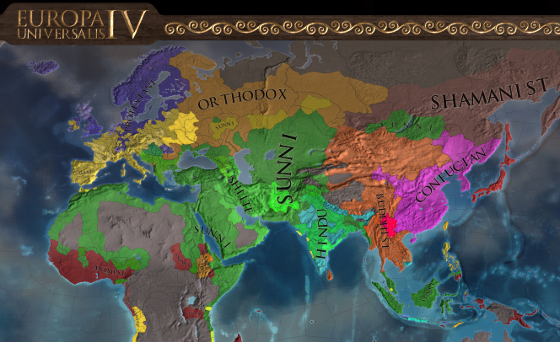 Easy to get boxed in by the Timurids, Persia, or a ascendant Tibet (if they survive). Plenty of time to get slapped around by the Europeans from the 17th century onwards depending on how things go too (aka missions to get a foothold in India). I’ve seen the Ottomans form a alliance with the Swedes in one campaign I played as Poland. The AI then attempted to start a massive invasion of Russia with the Swedes coming down from the North and the Ottomans advancing up through Crimea. Winter attrition and huge Manpower losses broke the back of the invasion at the gates. Of Moscow. Weather is another interesting aspect of the game that I don’t believe I mentioned. It’s interesting to see that the Swedes and Ottomans didn’t fare much better than Napoleon when it came to invading Russia in the winter. Thanks for the article – just browsed it so far but its on my reading list as I did a lot of work with Europa Universalis II with high-school students (and played it way too many hours). You may find my dissertation interesting to browse. P.S: I ended up developing quite a different kind of game with Playinghistory.eu that use a completely different didactical approach in my view than historical strategy games. Thanks, Simon. Let me know if you have any additional thoughts on my take on the game. I’ll also be sure to take a look at your dissertation. I just got back from the 2014 DiGRA Conference, and I remember several people citing your work, so I’m looking forward to reading it myself. It’s been a while since I had time for the DiGra conference but enjoyed them in the past. I think your example is interesting, and I think you find quite a few quite concrete examples both in my PhD with EUII and Kurt Squire’s with Civ that it actually do work with students to a large extent. There are definitely a lot of challenges around using games to ‘activate’ the thinking around the mechanics in a history didactical meaningful way -I do believe there is potential to make the student’s think about history in a different way than now this happened – changing it to this happened because of these underlying variables that can be seen through-out history to be important variables (geography, technology, religion, ethnicity etc.). The main (very boring) challenge with using EUII that I found with high school students were basically the context and time – how to you find time to play the game ‘long’ enough to get a meaningful discussion, and abstract from the less interesting parts of it. Yeah, lack of time seems to be the most common problem I’ve seen with using these kinds of games in a formal educational setting. It’s hard enough using them with university students, I can only imagine the additional constraints you might run into in a high school setting.